I finished a quilt! This is a big deal since I haven't finished a quilt since December (which my sister assures me still exceeds normal for the rest of the population. She likes to remind me that I'm a tad bit crazy sometimes). 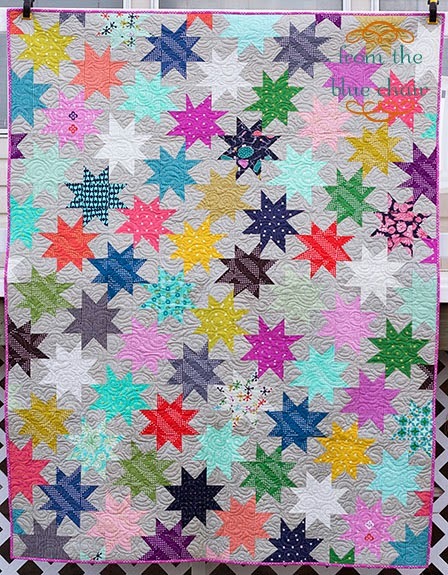 I created this quilt basically using the Sparkle Punch quilt tutorial on Oh Fransson. 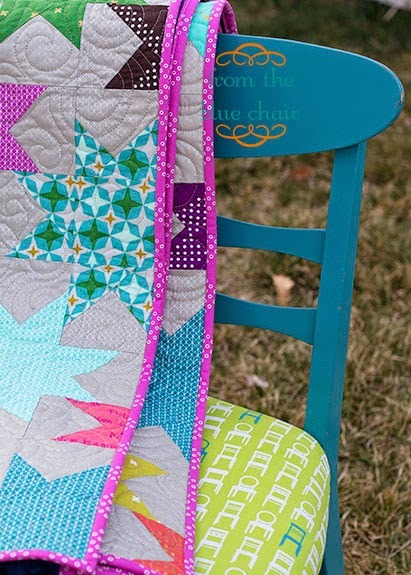 (I am not linking directly to the posts about this quilt-along because, honestly, I can't find them. This site is under construction, and some content is currently unavailable. I will update links when available). This tutorial requires the squares to be 3 1/2" cut. I chose to make mine 4" cut since that works better with fat quarters. 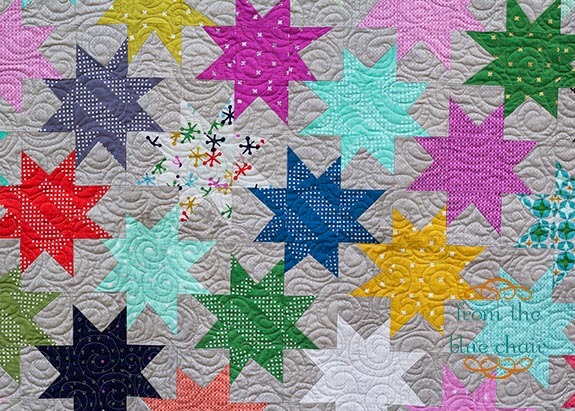 I adjusted the number of stars for the quilt based on the backing I planned to use. I wanted to back this one with minky. I was able to get 17 x 22 finished squares in for the piece of minky I had. 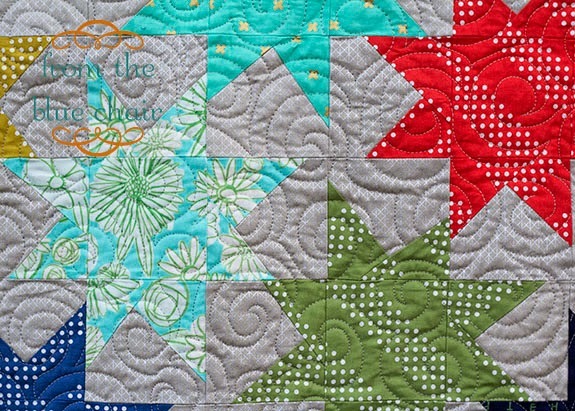 All fabrics used in this quilt are from Cotton & Steel. I love the colors of their basics lines and find myself using them in place of solids. The stars have just enough pattern to be interesting without being overwhelming. I also mixed in just a few of my favorite prints from various lines. I used this bright plum print from the Mochi line for my binding. I really like how the small circle groups look when wrapped around as the binding. I used a swirl design for my quilting. The quilting tended to be a bit more frustrating with this quilt. 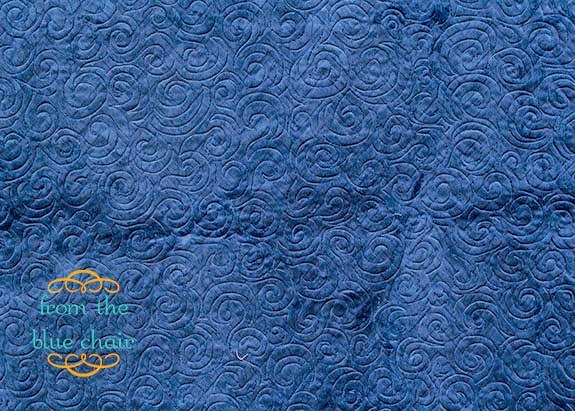 I think a combination of the minky plus the metallic print I used for the background fabric made for an unhappy sewing machine. I had tension issues that were difficult to correct and lots of thread breakage. 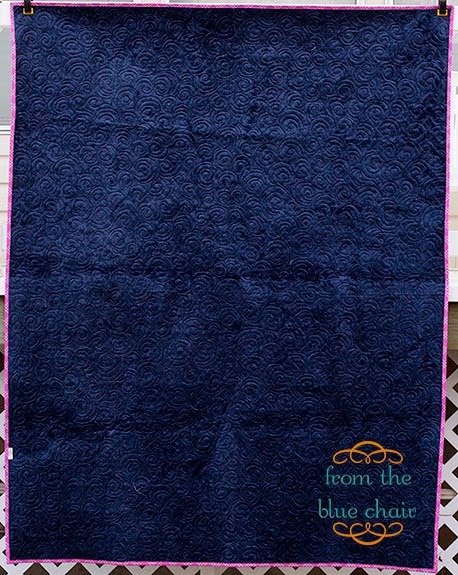 I was glad when I finished this one up, but I do love how the quilting looks, especially on the back. The final size is 60" x 77". Just right for wrapping up in on the couch! Photo lightened to show detail. Oh, I love it! It turned out beautifully! I made a Sparkle Punch when the pattern came out and it's still one of my all time favorite quilts. After swearing it would never leave my home, it ended up going to my lovely daughter in law--she's pretty & sparkly, too! I love this! It is definitely sparkly and has a lot of punch. I've barely sewed a stitch since mid-December so definitely can relate to your quilt predicament. I hope to remedy that soon, though. Love it! It looks like the perfect quilt to snuggle under. I have to admit I'm glad when I see more experienced quilters taking awhile to make stuff because I sometimes feel like giving up because I'm soooooooo slooooooooow and it's pretty intimidating when some of the bloggers I follow are busting out a quilt a week. Your sister just might be on to something... I'm still working on my quilt that I started in December, and I honestly don't see it getting finished anytime soon. Very nice. Love the bright stars. Beautiful! I love the stars and and all of the bright colors. Sparkle Punch is fantastic Kati! I love the design and all the fabrics you used. 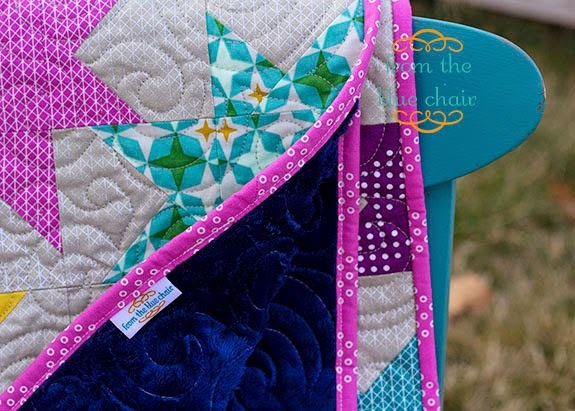 You are brave to have tried the swirly quilting with minky on the back, but oh Minky is such a soft and cuddly way to back a quilt. And i think they turned out great. No wonder Judy was raving about your quilt on Quilt Paradigm.